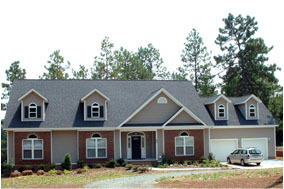 Nestled among the pines in the Bearpond region of North Carolina is the first of HandCrafted’s Executive Estate models. 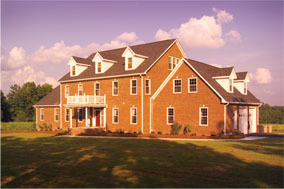 The 3,307 square foot two-story plan offers a butler’s pantry, a 19 foot ‘open to foyer’ and a sunken family room-just a sampling of the unique features of this home. 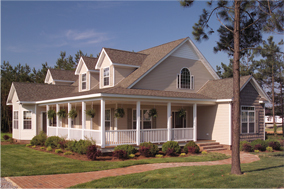 The site added wrap-around porch on the home creates a welcome-home feeling that is hard for anyone to resist.